ArchiDesignClub, the leading French community of professionals in architecture, layout and decoration, has recognized the technical and decorative capabilities of Cement Design’s Metallic Collection with its products Acero, Cobre, Zinc, Latón, Bronce and Aluminio. Madrid.- Cement Design, specialized in manufacturing exclusive decorative coatings made with Ecocement, has been rewarded with the ‘Muuuz Award 2014’ in the category ‘Best Innovation Decorative’ for its Metallic Collection. This collection is composed of a wide range of metallic products, which are suitable to be installed on any surface. 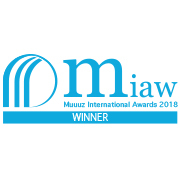 The Muuuz International Awards are organized by ArchiDesignClub, the leading French community of professionals in architecture, layout and decoration, in partnership with ‘Muuuz’ magazine, international publication specialized in architecture and design trends. The Metallic Collection created by Cement Design is composed of exclusive coatings extracted from nature and transformed into an exclusive decorative coating. The Metallic products are: Acero, Cobre, Zinc, Latón, Bronce y Aluminio. Every type are designed to coat any kind of surface such as façades, walls, floors, ceilings and furniture, indoor and outdoor, with a minimum thickness (1-3 mm.). They are versatile products with a wide selection, suitable for architecture and decoration lovers. Other Cement Design products are: glossy coatings (Diamante, Turmalina), based on natural fibers (Denim, Jeans), or made with wood chips (Quercus), among others. Cement Design is a Spanish company which installs decorative and continuous coating of ecocement and is present in more than 30 countries. We improve and renew the living and working areas of our customers with exclusive, versatile and functional solutions in tune with theirs corporate images by ecocement´s system. We work for top brands in the international markets of the fashion, renovation, design, decoration, jewellery and others.